We know that every Oregonian needs a safe place to call home. Today, our neighbors and friends can work full-time, earn an average wage, and still not afford to rent a one-bedroom apartment in most communities across Oregon. We know we can help more Oregonians have a safe and stable place to call home. 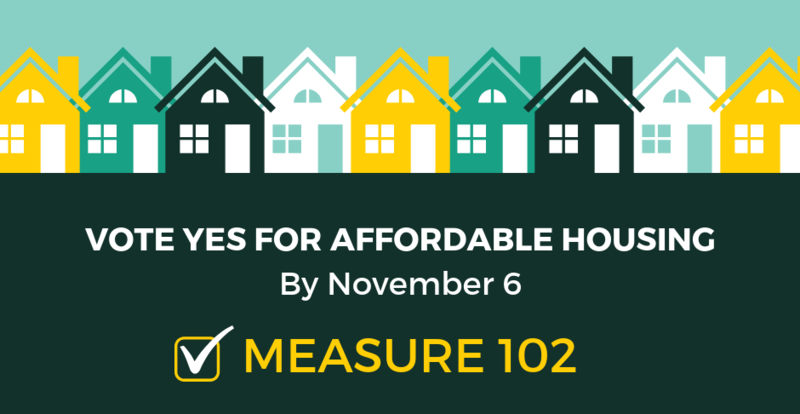 Right now, we have the opportunity to vote YES on Measure 102 — a statewide ballot measure to help local communities create more affordable housing. Measure 102 will remove an outdated restriction from our constitution and allow local governments to work with nonprofits and housing developers to build affordable housing with local bond dollars, meaning local bonds can stretch further, building more housing, more effectively. 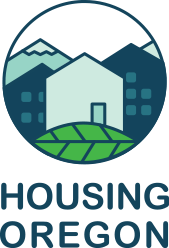 Housing Oregon is proud to be a part of the coalition of over 500+ endorsers who are taking a stand to support affordable housing. Join us and vote YES today for affordable housing. Ballots are due by Tuesday, November 6 at 8 pm. Find a drop box near you. The Oregon Legislature voted almost unanimously to refer this constitutional amendment to voters. The amendment is a sensible, bipartisan solution to help local communities create more affordable housing for families, seniors, veterans, and people with disabilities throughout Oregon. By voting yes on Measure 102, we will make a big impact on the lives of thousands of people who are affected by the housing crisis every single day. Join me and the growing coalition of people in our community saying Yes for Affordable Housing. Vote Yes by November 6 at 8 pm.